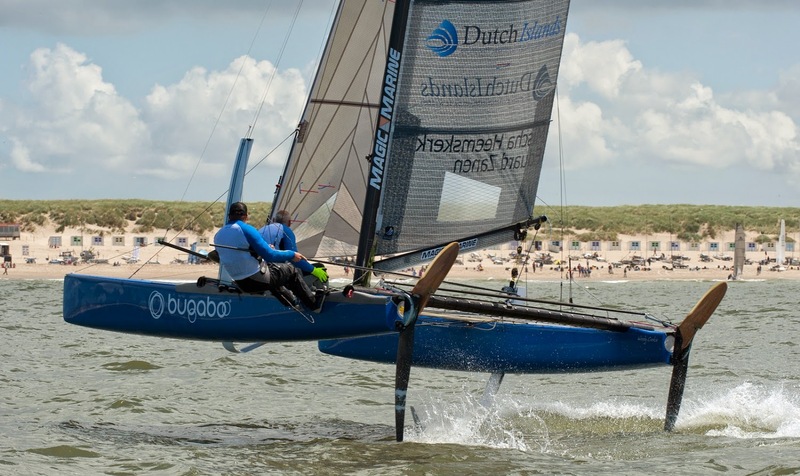 Today the Round Texel long distance race will match 3 foiling weapons. Big stakes to see which and who is the top foiler around in the beachcat racing world. Above the Nacra 20 FCS & Mischa M20 training at Texel.